These are our first ever S+G Dry Cake mix Jars! Making Baking super simple and a great gift for anyone! The cake jars cater to everyone, ALL Gluten Free and the options of Dairy Free, Vegan and Refined sugar free. All the cakes come with instructions of what you will need to complete the cake and also how to make it! This is a beautiful gift for someone who loves a good grazing platter! 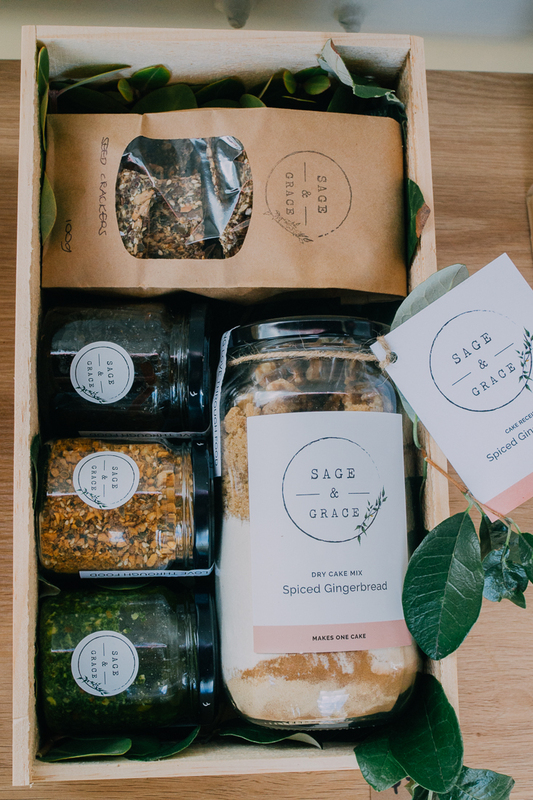 These boxes are Sage and Grace’s favourite and most loved items from our grazing tables! For someone who loves to host guests this is the perfect box. It is the start of a great platter and and easy dessert to put together when you have little time! Thank you enquiring about our Christmas Range.